Summary: A boy describes each step involved in taking a trip on an airplane. He starts at home with packing, using the second person voice (“You drive on the highway to where the ground is really flat.”), then moves on to the different steps of checking in and boarding. The trip is briefly described, followed by what happens once the plane lands. Woven through the story is a subplot about the boy’s younger sister’s missing stuffed monkey. 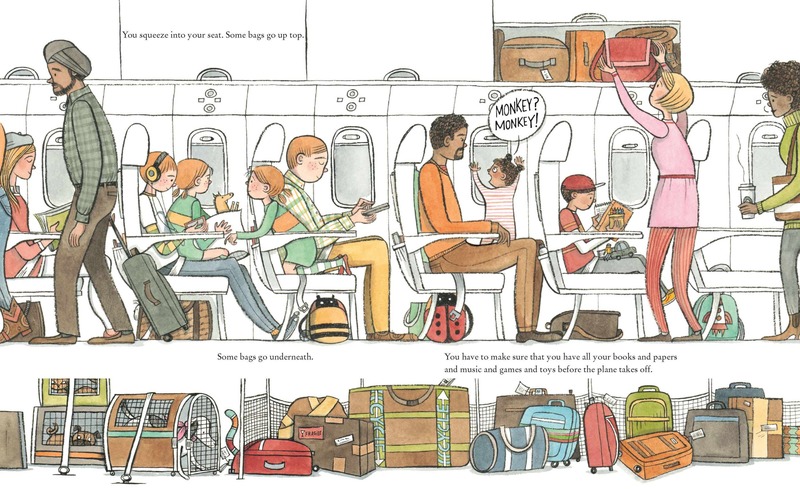 The busy illustrations show different people making their own trips, complete with cartoon-bubble dialogue. The final page shows the happy family driving with Grandma and Grandpa past palm tree-lined beaches under a hot sun. 40 pages; ages 4-8. 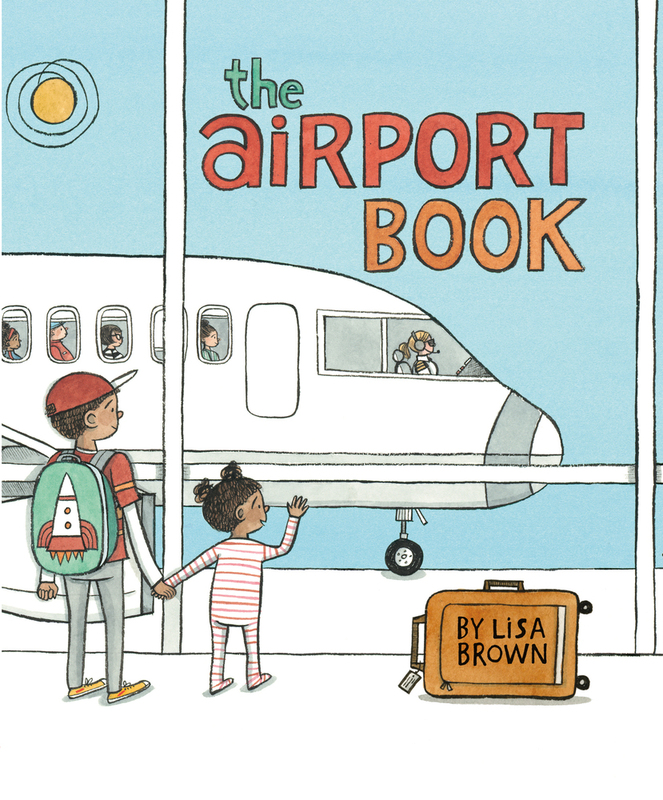 Pros: A fun book for the first-time flyer to learn what to expect, as well as for the seasoned traveler to recognize different parts of the airport and plane. The illustrations and monkey story add plenty of humor. Cons: Take-off and landing which, in my opinion, are the most disconcerting part of air travel, are not described at all.